Art is an expression of our personality, opinion or feeling. They evoke our emotions. 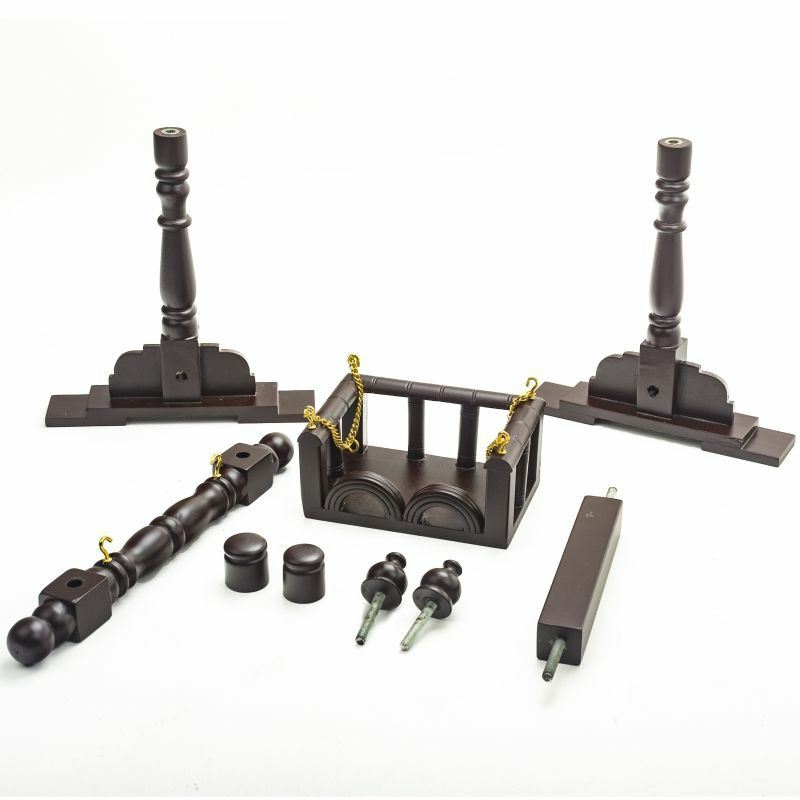 Art depends on..
No of Items 9 Pcs Easy Assembly Kit with instructions. 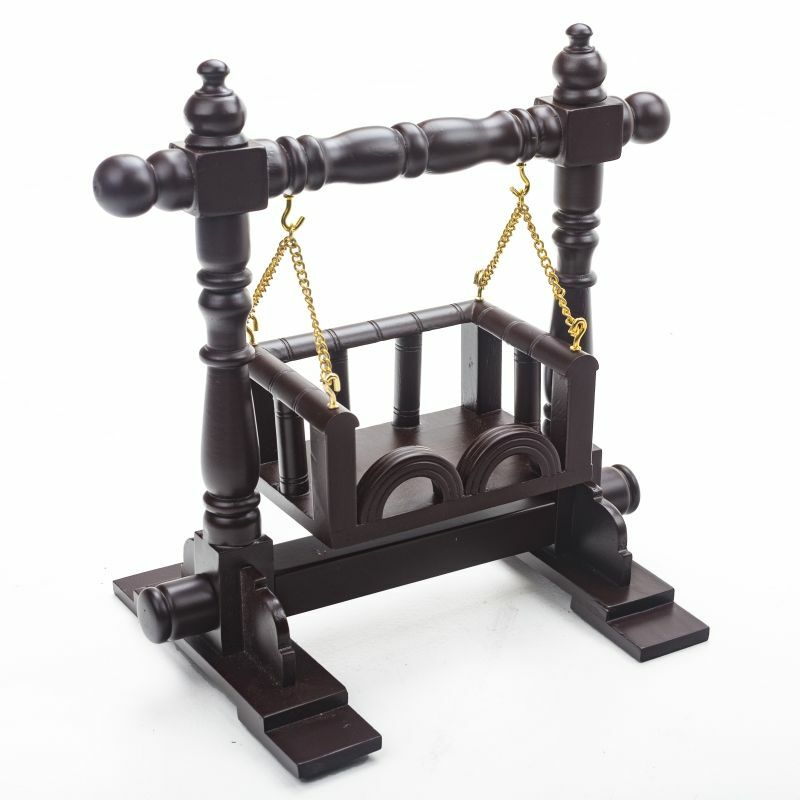 Cradles have their own appeal in Indian culture and tradition. 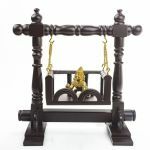 Elaborately carved wooden cradles are handed down through generations and each new baby in the family gets the privilege of being rocked in the ancestral palna/thottilu. Swings induce a palpable sense of pleasure and put one into relaxation mode instantly. In India, people relate their lives with that of deities and try to give the best of all that they have to the supreme lord. Many festivities in India involve rocking idols in jhoolas/swings or placing idols in cradle decorated elaborately and worshipping them. Devotees usually place Bal Gopal also called Laddu Gopal on Janmashtami in a beautifully decorated cradle, swing him gently and shower their love and devotion on him. In some places, it is a practice for people to place the idols of gods like Maa Ambe, Sai Baba, Lord Ganesha, among others to worship them during festivals. Even Infant Jesus is placed in a cradle in a nativity set during Christmas. We bring you the most beautiful wooden Jhoola handcrafted by the traditional artisans of Karnataka to make your celebration special. The brass chains and brass finish hooks make the swing more elegant and apt for your lord to rest and feel revered on this special day. *Idol is not included in the package. The smooth surface of the swing can be cleaned easily by wiping the surface gently with a soft damp cloth. The brass chain that hangs the cradle to the stand tends to tarnish with usage, cleaning with brass polish will get the shine back. This wooden Jhoola from Soulveda Kraftz is handcrafted by traditional artisans of Channapatna using the best white teak sourced from the agro-forests of Western- Ghats. White teak also called as Shivani wood used in the making of this ‘Palna’ is known for being durable and yielding perfect finish. This wood is rightly an economical substitute for sandalwood. 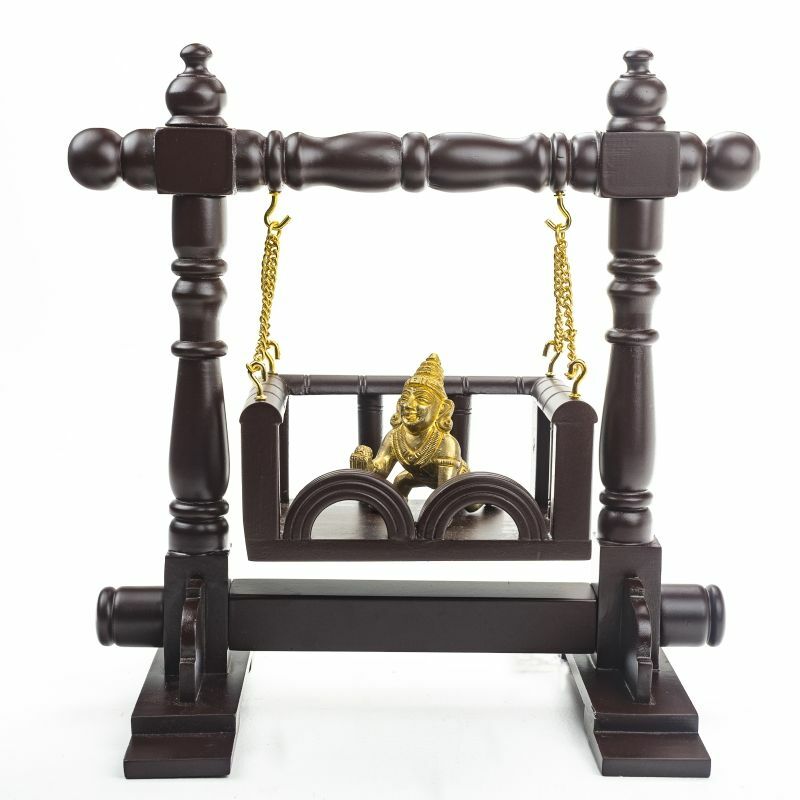 This beautiful swing for god is coated with an eco-friendly reddish-brown finish. This elegantly handcrafted Palki for your beloved lord is made of dismantlable parts that can be easily fit and dismantled with the help of instruction leaflet provided in the box. No external tools required to fit or dismantle this wooden Jhula. This handcrafted jhoola or wooden swing can be used in Pooja or can be placed as a decorative art piece in your living room or office. 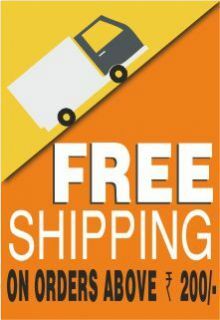 Can be an ideal gift for wedding, wedding anniversary, housewarming or as a return gift for naming ceremony and other celebrations related to the birth of a child such as Anna Prashan, ear piercing among others. 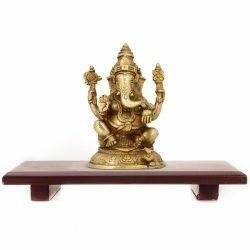 This is also an apt memento to be given to guests during spiritual functions. 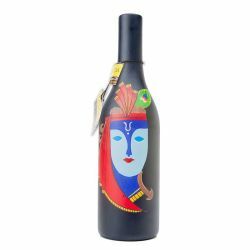 This can also be an ideal keepsake that can be gifted during Hindola celebrations to your near and dear ones.